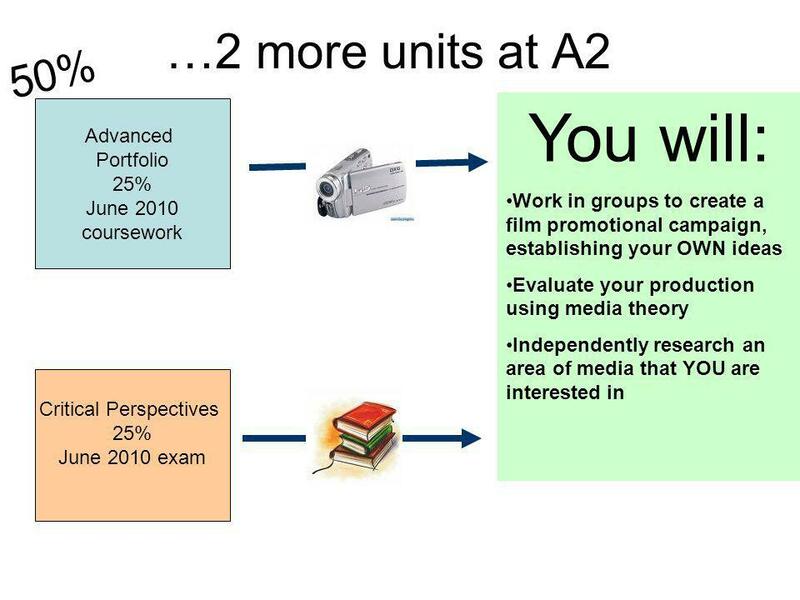 1 Welcome to AS Media Studies! 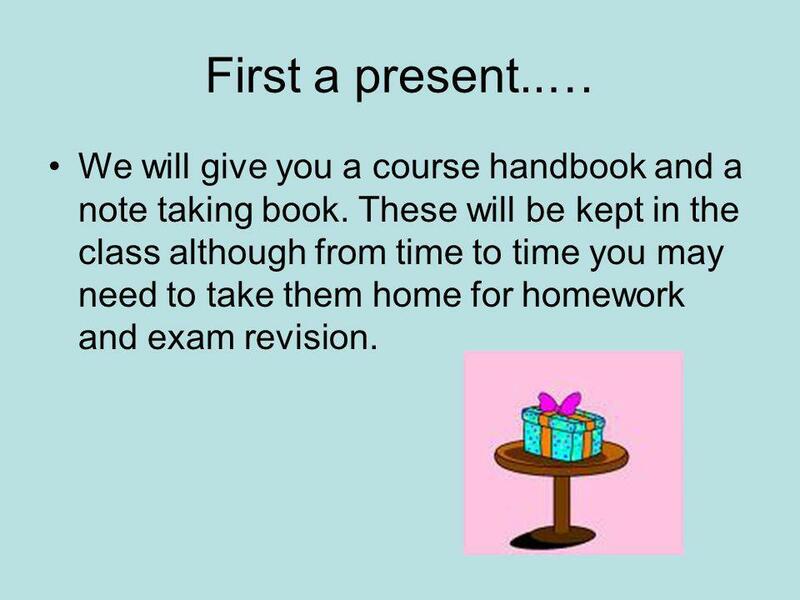 2 First a present..… We will give you a course handbook and a note taking book. These will be kept in the class although from time to time you may need to take them home for homework and exam revision. 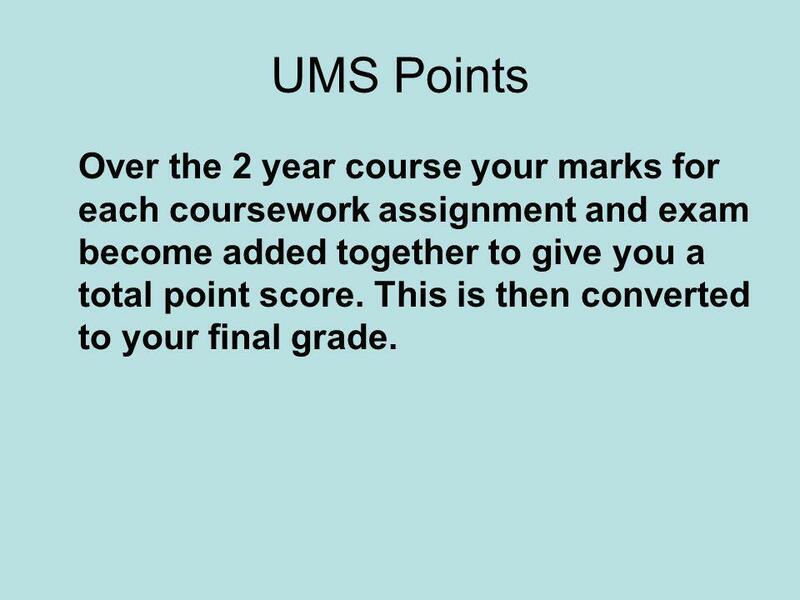 5 UMS Points Over the 2 year course your marks for each coursework assignment and exam become added together to give you a total point score. This is then converted to your final grade. 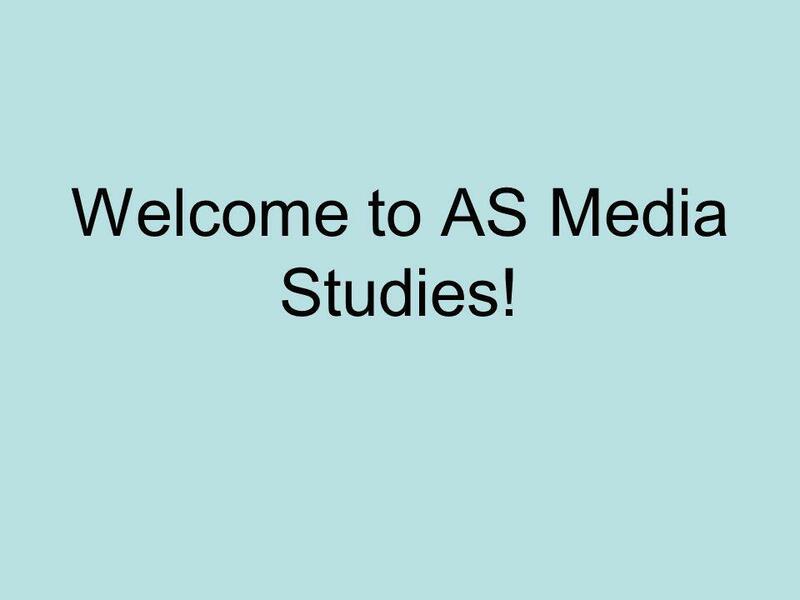 Download ppt "Welcome to AS Media Studies!. First a present..… We will give you a course handbook and a note taking book. 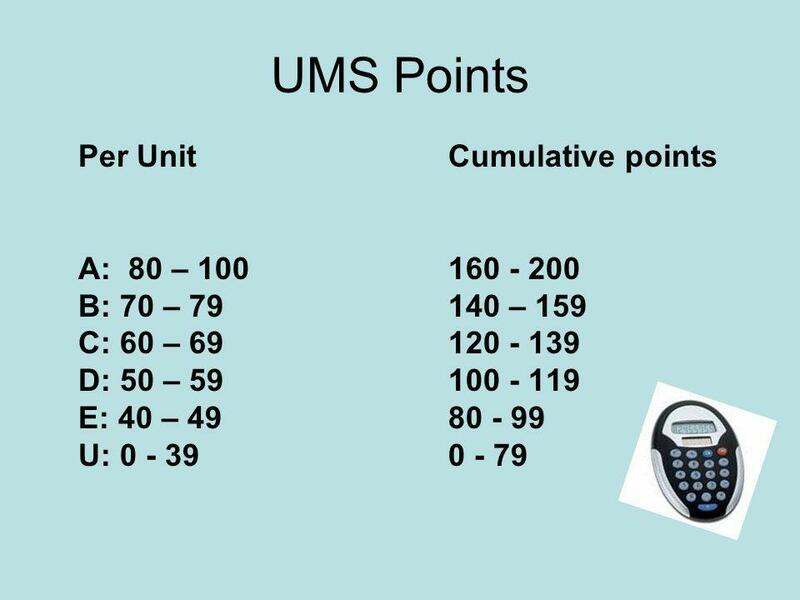 These will be kept in the class although from." Connected? creative? critical? 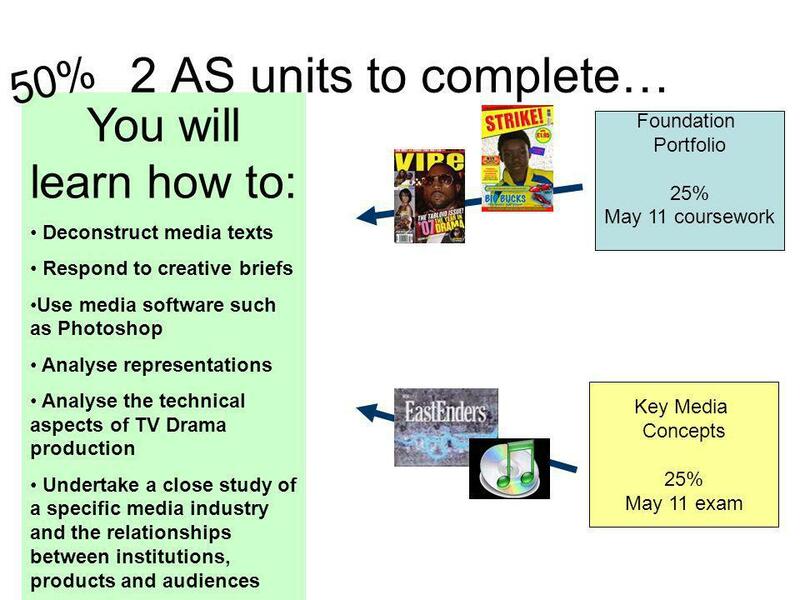 the OCR Media Studies A level in the UK. LANGUAGE ARTS 6 TH GRADE Dana Fowler, teacher. COARSE ELEMENTS The Writing Process Six Traits Step Up to Writing Long Term Projects In Class Essays. 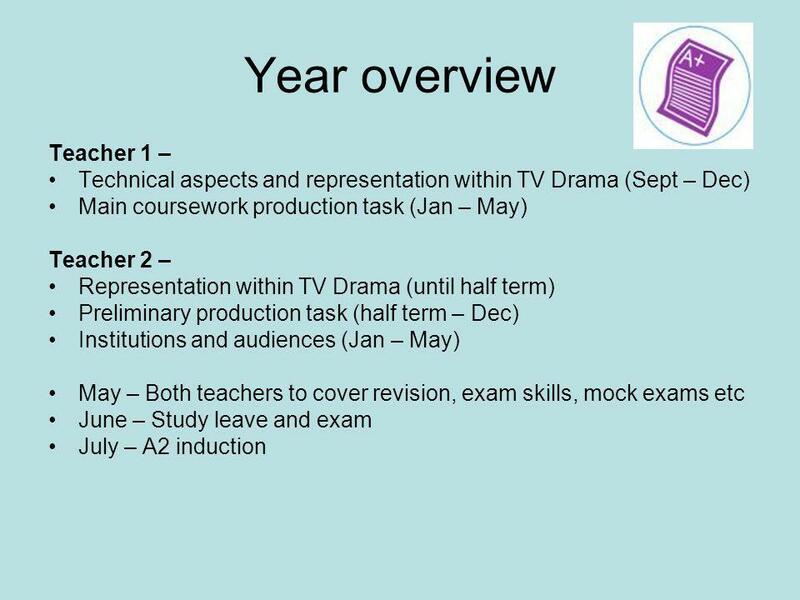 This presentation aims to talk you through some of the features of the new courses and outline what your child can expect between in S3 and S4. Unit 3 SACs Ross Down & Erin Wilson. Roundwood Park School ART & DESIGN GCSE. What GCSE courses do we offer? Art & Design (a general art course) Art and Design Textiles Art Department. Welcome To…. 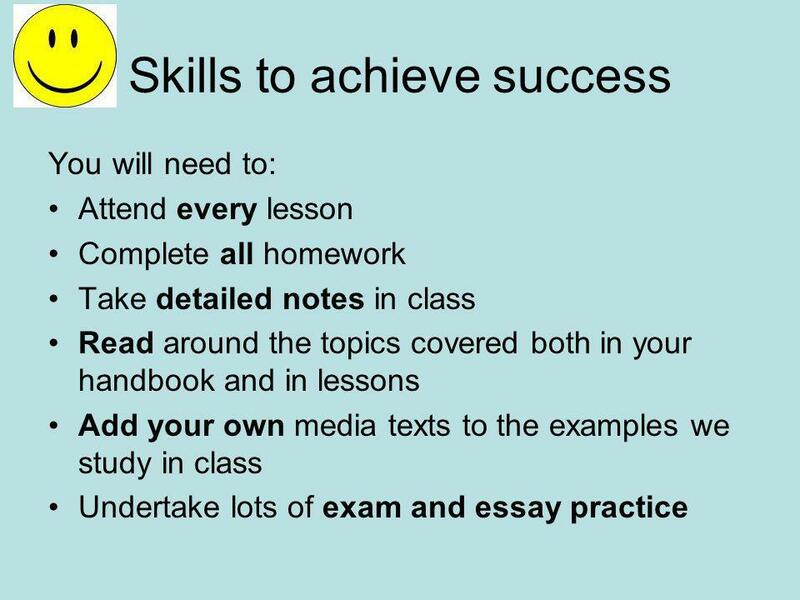 ‘How To Succeed at A’Level’ Miss Double: KS5 Transition Phase Leader Mr Hind: Assistant Head teacher.